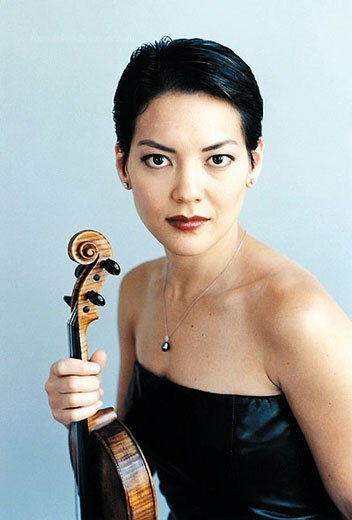 Anne Akiko Meyers has had considerable success in her career; her website lists 24 recordings, several of which have shot to the top of the Billboard charts, and she has received the lifetime loan of the “ex-Vieuxtemps” Guarneri violin. Her recent album of Bach has also garnered a great deal of attention. She came to the Rockport Chamber Music Festival Saturday night in the company of pianist Anton Nel with a curiously unambitious program. There were two standard repertory sonatas, by Mozart (F major, K. 377) and Ravel (the second), followed by other pieces I might describe as “crowd-pleasing” (Pärt, Piazzolla, De Falla) had Mozart and Ravel not already been thus. Although the program suggests a light-hearted evening of music making, Meyer’s execution seemed tense—tone sounded tight and constrained, especially on the top two strings. At its best, her interpretive approach was reminiscent of Heifetz. Her formidable technique kept the music from seeming reserved, but she delivered with a sensibility that I found prosaic rather than poetic. This perspective allowed for an effective and interesting approach to the Ravel, though, a piece whose jostling, elbowing qualities frequently undercut the lyricism of any flowing melody. Hearing it this way, the long “bent” notes in the second movement sound less like borrowings from the blues than a thinking forward to composers like Penderecki and Xenakis for whom glissandi are material, not modification. Without a doubt the high point of the evening was the last movement of the Ravel, the “Perpetuum mobile” whose relentlessness and borderline violence was rendered thrillingly. Meyers fared less well in the opening Mozart, where the violin is much more exposed and Meyer’s steely tone was at a disadvantage. Inasmuch as the composer titled it for keyboard with violin accompaniment and not the other way around, Anton Nel had scope to display a wide variety of luminous playing, from the bright pulsing of the triplets in the first movement, to veiled crepsecular light on the edge of darkness in the minor second movement, to a mild, ameliorative opalescence at the end. Nel’s affect is also muscular where it needs to be: in the final movement the piano goes toe-to-toe with the violin throughout, percussive and driving , but without harshness. The remainder of the program made few demands, though it seemed oddly chosen given a violinist whose interpretive aesthetic seemed better matchced to Stravinsky or Prokofiev. While some of Arvo Pärt’s music in deeply affecting and impressive given the limited means he allows himself (the severe austerity of the Passio, the humming atmospherics and downhill catastrophes of Tabula Rasa), his Spiegel Im Spiegel strikes me as simple-minded in the extreme. The most interesting moments in the piece are turns of harmony that are reminiscent of Peter Schickele’s non-P.D.Q. Bach writing. Meyers and Nel made a pretty sound of it, though there were some misguided moments of expressive rubato that only further exposed the thinness of the conceit. The second half was devoted to short works derived from Argentinian and Spanish popular music. Astor Piazzolla’s performances of his music derive much of their impact from his own passion and theatricality. The Introduccion et Ángel and Milonga del Ángel we heard this evening lacked that sense of showmanship – though to be fair, I have yet to hear purely classical players program this music and perform it with anything but disappointing results. Manuel de Falla’s Suite of Popular Songs from Siete Canciones Populares Españolas, arranged by Paul Kochanski for violin and piano, were performed simply and allowed to speak for themselves, though there was no lack of brilliance and precision when it was called for. The appreciative audience was favored with two encores. 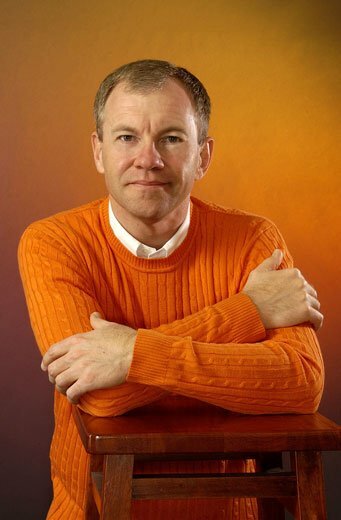 Another Piazzolla piece, Oblivion, was dedicated to Meyer’s “lovely husband” and was by far the most successful Piazzolla of the evening, invested with just a touch more interpretive freedom and expressive color. This was followed by Harold Arlen’s Over the Rainbow, where Meyer’s lack of sentimentality was refreshing. This allowed the listener to attend to the piano, where Nel was finding fascinating colors and inflections in an arrangement that was just a bit “outside” the usual, mining perfectly the vein between the concert hall and the piano bar.